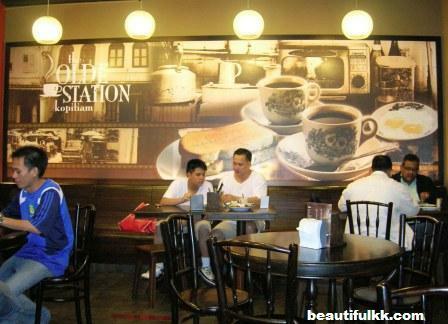 Original coffee from the colonial time, and the ever popular toast bread with butter and kaya, these two items are the most memorial food and drink from the Olde Station Kopitiam. These two are also the must have products here. Walk into any Olde Station Kopitiams and immediately one is overwhelm with the strong smell of burn charcoal. The burn charcoals are still used to toast the white bread here. The Olde Station Kopitiam has already opened 2 outlets in Kota Kinabalu, one in City Mall and another one in Warisan Square. The third Olde Station Kopitiam is scheduled to open in 1Borneo on March 2008. Nasi Lemak and Laksa are the two traditional local dishes served in the Olde Station Kopitiam. Local traditional ingredients are used to make these simple yet tasty meals. 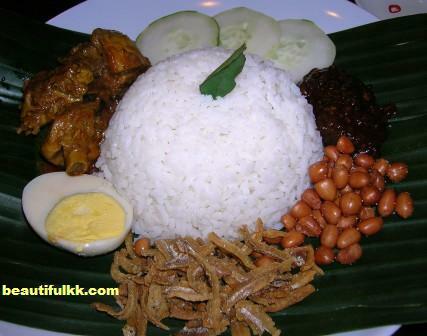 If one likes hot and spicy food then one can go for the Nasi Lemak Beef Rendang or the Nasi Lemak Curry Chicken. 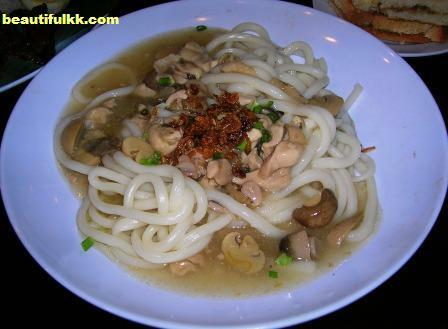 Laska is also another spicy dish. Black wooden chairs and tables set up the interior, this gives a feel that one is back in the kopitaim of 1950s. Main Course at RM 6.90, and there are also set meals, one main course plus a drink, for RM 8.30 only. 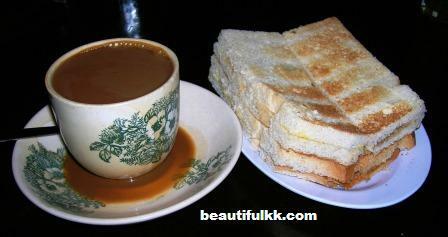 Coffee and toast bread at RM 3.60.